The dust-jacket unfolds to reveal a map of the Moon, to which handwritten yellow stickies have been attached. These highlight the landing spots of Apollo missions 11 to 17, and set up a tension between the impersonal exactitude of the map and a more subjective line of enquiry. The book features a good introductory essay by Dodds, extracts from his correspondence with scientists, plus material from NASA sources. Dodds raises the issue of ‘exploring the cultural landscape of space travel’, describing the landing scenes as deserted stage sets littered with obsolete equipment. One correspondent, a lecturer in anthropology, laments that ‘space heritage still has not received the publicity and interest it deserves’. It’s illuminating to see space travel considered from such a perspective. The most interesting NASA text is taken from the Apollo Program Summary Report, which describes in precise and unemotional detail the various stages of the Apollo 11 mission. The overcoming of the huge technical challenges appears all the more admirable for being so resolutely underplayed. The book notes that all the images of Armstrong and Aldrin on the Moon were generated during their mission, and that it is currently impossible to view any of this debris through a telescope. All the photographs here are of ‘rehearsals’ for the mission, with lights and technicians visible, as on a film set. There is a sneaking suspicion that Dodds is reviving the old chestnut that the landings were an elaborate hoax, although he does not explicitly suggest this. The problem is, he doesn’t do anything explicit with all this material. In one letter ‘an artistic representation of the crash site’ (of the Surveyor probe) is mooted, but that’s the last we hear of it. There is too much raw data, and the ideas suggested in the introduction remain unexplored. Towards the end, five pages are given over to a dense extract from the ‘Surveyor 3 Condition Report’. 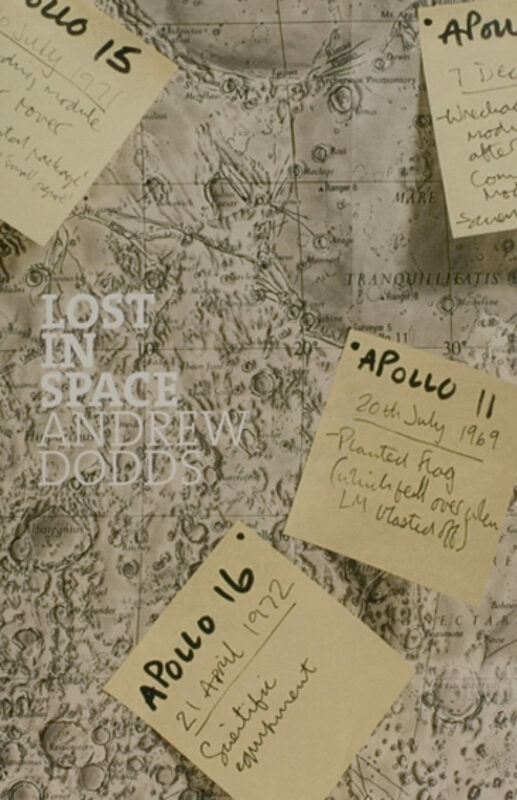 After he’s raised expectations that the book would deal with the cultural legacy of the Apollo missions, it’s disappointing that Dodds leaves us with a lukewarm conspiracy theory on one hand, and undigested scientific data on the other. One closes the book with a sense of mission unaccomplished.